Seven authors came together to write seven novellas from the Regency period in England. I enjoyed the overall them of this collection, especially the moral dilemmas and duties the men and women characters were bound to adhere. As Regency England recovered from loss and war, men and women learned to pick up the fragments of their lives and remained constant to the lifestyles they left behind. Perhaps that helped them move forward. In First Comes Marriage byAmanda Barratt, Charity and Luke marry for their father’s sake and are separated immediately after the ceremony for three years. 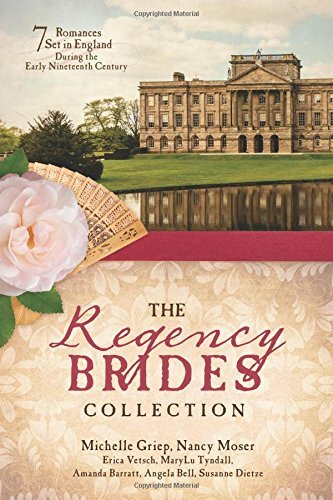 When Luke returns from service he and Charity are bound together by an arranged marriage that takes a surprising twist in great Regency fashion! In Masquerade Melody by Angela Bell, Walter and Adelaide are brought together in secret for a musical pact only to discover that they have more in common than the love of music. A sweet tale that is heartwarming. Three Little Matchmakers by Susanne Dietze will tug at your heartstrings when forgotten childhood attachments are forged anew by three little children who need a home and family much more than a room at boarding school. Sweet story with many happy returns. The Gentleman Smuggler's Lady by Michelle Griep is a surprising tale with the smuggler being a well-respected man with Robin Hood like qualities. He is simply taking what is his and providing for those less fortunate than he. Alas, on his last run he had the misfortune of coming across the vicar’s daughter. Fearing for her safety, he proves much more gallant than she would have dreamed. As the story goes, they encounter each other again and both learn that all is not quite as things appear. 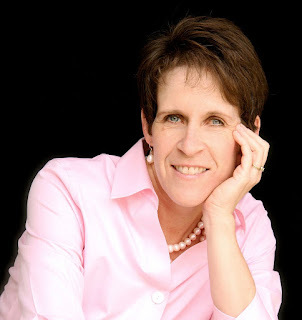 In the story When I Saw His Face by Nancy Moser, Esther is at a turning point in her life. Widowed for eight years, her stepdaughter is newly married, leaving her on her own. Her neighbor, Chester has had his eye on her, waiting for his chance for marriage. Shall she give in or pursue a new dream? After a chance encounter with a man stranded along the road she can’t dismiss the attraction she felt. While visiting her dear friend she happens on this gentleman again and from then on an uncanny attraction causes her to think again about Chester’s intentions towards marriage. This is a story that could be a love triangle by many but for a significant turn of events that plays out in the end. In The Highwayman's Bargain by MaryLu Tyndall true love can be a perception if the groom is a dandy bent thwarting his parents while fooling his bride. Having a sense of duty is wonderful but not at the expense of being wed to the wrong man. Pride and deception abound in this little tale but can a true hero be found to love her and care for her parents? In Jamie Ever After by Erica Vetsch, lovely maidens Jamie and Polly are presented for the London season. Polly’s brother Walter, distant and remote, is hiding away his war injuries along with his heart. He is enamored by Jamie’s beauty and sweet spirit. She has long had feelings for him though he only saw her as his younger sister’s friend. He strikes a bargain with his sister to thwart attempts by their evil cousin to insinuate himself as a suitor for Jamie. Their marriage starts as a convenient arrangement on his part but circumstances seem to counter his plans. A nice plot with a sweet romance. Grab a cup of tea and sip your way through the pages of this nice collection of novellas! 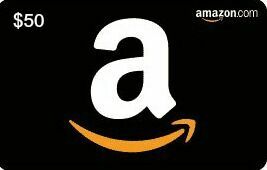 A Stop On the Liza's Second Chance Book Tour and a Chance for a Giveaway! Liza holds a secret about her late husband that would shock her community. As her story unfolds she must learn to trust Jason in order to have the loving marriage she’s always dreamed of. As they weather some storms of their own the story wends itself to the reader's curiosity....can they overcome the difficulties they seem to face for a lasting love? The difficulties of blending families can be just as difficult among the Amish as the outside world. In many stories in the Amish fiction genre, it seems that the children obediently follow the will of the parents. In Liza's Second Chance we see all the humanity of our own outside world. Thumbs up to Molly Jebber on this one, I look forward to reading more of her works. 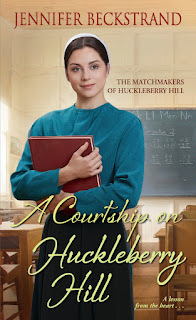 Courting Huckleberry Hill Style Along with a Giveaway! my thoughts….I enjoyed A Courtship on Huckleberry Hill, the second book in this series I’ve read. The characters are well developed and I soon found myself in the midst of the story. Sam is devoted to his family, especially Wally, who has had his family hoodwinked since recovering from an accident a few years ago. 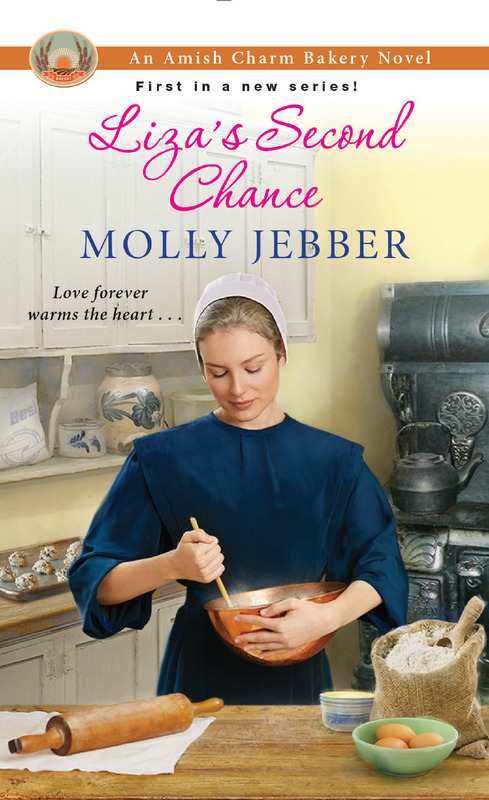 Life seems to revolve around him and he seems to take over most aspects of the story as the author introduced matters to me for Amish literature. Elsie, being the new teacher learns the hard way how things will be in her classroom when she meets Sam, Wally’s older brother who barges in on her classroom with directives on just how she will manage his brother’s behavior. Determined to teach Wally without disrupting the rest of her students, she manages to find a way to reach him while catching the heart of Sam. Through trial and error and a few stormy moments, this story will warm your heart in spite of efforts of her grandmother to find her the right husband with her failproof matchmaking skills. 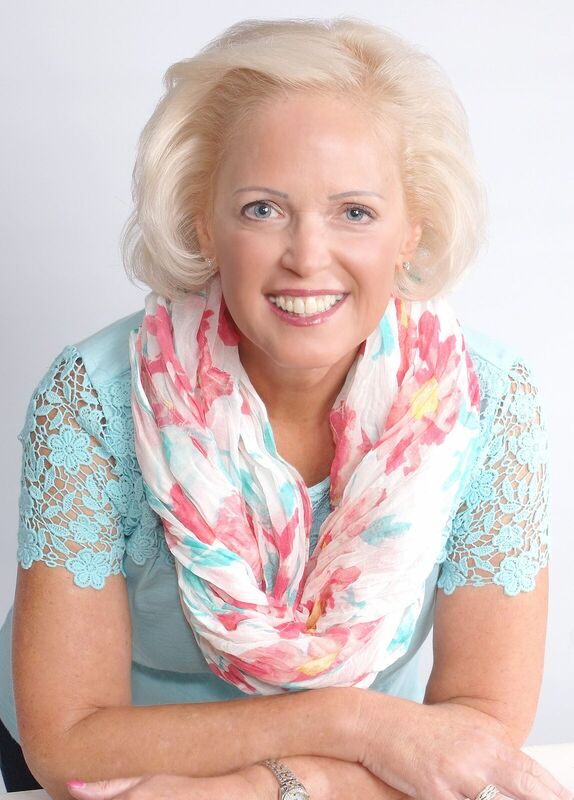 Jennifer Beckstrand is the RITA-nominated, award-winning Amish romance author of The Matchmakers of Huckleberry Hill series and The Honeybee Sisters series for Kensington Books. Her much-anticipated Amish series, The Honeybee Sisters, has created a lot of romantic buzz. Sweet as Honey received a starred review from Publisher’s Weekly and Sweet as Honey and A Bee in her Bonnet were both awarded Top Picks from RT Book Reviews. Jennifer has always been drawn to the strong faith and the enduring family ties of the Plain people and loves writing about the antics of Anna and Felty Helmuth and the Honeybee sisters’aendi Bitsy. 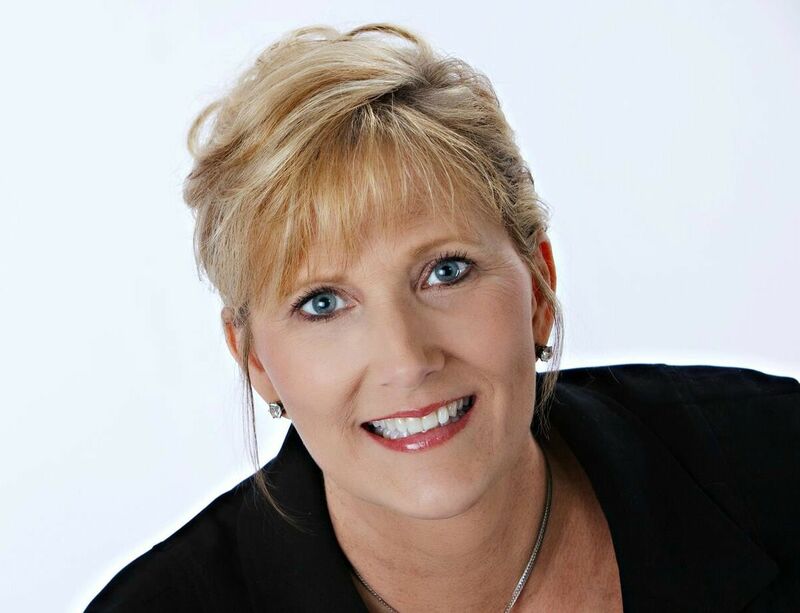 Jennifer has a degree in mathematics and a passion for Jane Austen and Shakespeare. She and her husband have been married for thirty-three years, and she has six children and six adorable grandchildren, whom she spoils rotten. My thoughts... 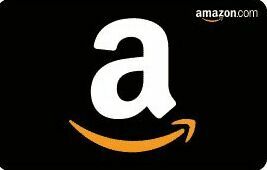 This purse-sized flip book is a unique way to approach weight loss in this day of apps and internet guides and expensive diet foods. The format is easy to follow with verses corresponding to the needs of the reader. 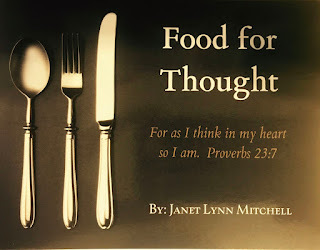 I was surprised at how many verses are packed within the pages of this book that relate to taking care of our bodies! It is not a day by day guide to shedding unwanted pounds but a book that will help you find a new perspective on your journey to better health and well-being. Losing weight is not easy no matter how much money you spend on gadgets and special food. Words from scripture are at your fingertips and will remain when you need them for years to come. This is a wonderful book! Janet’s book, A Special Kind of Love, published by Broadman and Holman and Focus on the Family, has been highlighted by Rick Warren in his “Ministry Toolbox.” Her Hands on Faith: Family Nights and Hands on Faith: Family Fun books by Carson- Dellosa are now available along with Janet’s five new Praying Scripture Flip Books. Janet’s Taking a Stand was released in November of 2006. It is truly a testimony of God’s faithfulness through the good, bad and outrageous. This past year Janet’s latest book, Words Matter became available. One thing Janet has learned is: It just takes one to change the world we live in. 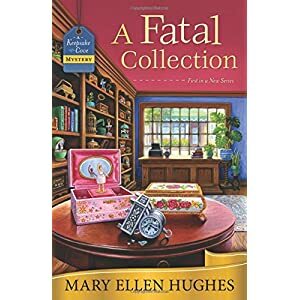 Mary Ellen Hughes Fatal Collection is a cozy caper set in a village filled with collectible shops. Taking a bus tour to the fictitious Keepsake Village would be a collectors dream. Callie Reed escaped the hustle and bustle of the big city life to visit her aunt, who owns the music box shop. Housed full of eclectic music boxes destined for casual souvenirs to valuable works of art. Soon after Callie's arrival, her aunt experienced a sudden, fatal accident. As Melodie's only living relative, Callie was her sole heir. This was the impetus she needed to abandon her old life and loser boyfriend for this cozy niche on the eastern shores of Maryland. Callie settles in quickly as her new neighbors welcome her to the fold. A number of incidents arise, however, that lead her to doubt more than one of her new neighbors. From a grouchy neighbor who covets her property to the handsome diner owner, she is swift at learning there is something brewing in Keepsake Cove. To keep things interesting, there is a handsome, eligible collector who seems willing to pay top dollar for new acquisitions. He seems to be everywhere. Vandalism within the community raises questions along with a little bit of mistrust. Even cozy Keepsake Village has its own share of problems and they all fell together after the apparent "accidental death" of Aunt Melodie. Or.....was it simply an accident? Find out the secrets in Keepsake Cove by purchasing your copy of Fatal Collection! This book is light reading during these dark days that have followed the Winter Solstice.